a breathable, soft foundation that evens and beautifully illuminates skin tone! ff combines moisturizer with a subtle, breathable foundation that adapts to virtually any skin tone. 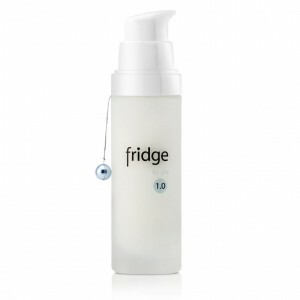 Perfect for fans of no makeup makeup :-) Apply over any fridge cream for facial care. We advise you not to use ff on any cream not made by fridge. Your skin needs to breathe! You gain 15 ✿ [?] Loyalty program flowers By purchasing products included in the loyalty program, you gain flowers, which then can be exchanged to other products available in the store. Only available to registered customers. The ff secret is its high content of natural clay, rich in minerals such as silicon, iron, magnesium and calcium. A special composition allows the skin to reap the beneficial smoothing properties of clay throughout the day! With long-term use, skin is noticeably moisturized and supple – the cream’s urea content actively binds water in the stratum corneum. It also contains cold-pressed plum oil, which is rich in oleic acid, linoleic acid, vitamin E, B vitamins and beta-carotene. The richness of these ingredients makes it a versatile emollient for any skin type, preventing water from escaping the epidermis and skin ageing. Among the many components of plum oil, sterols deserve a special mention because they integrate into the structure of the intercellular cement and the membranes of living layers of the skin, creating an epidermal seal. Application:Try it out and choose the best way to apply our foundation! It can be applied directly to the skin, especially if your skin is oily. However, if you feel that the skin is not sufficiently moisturised and you have problems with spreading the foundation evenly, first apply the cream and afterwards apply the foundation. You can use your fingertips to rub or tap ff fabulous face into your skin. You can also try out a beauty blender sponge. Use quick and circular motions to apply the foundation, as it sets quickly due to the content of natural clay. ATTENTION! For this product we use airless glass bottles. Any attempt to open the bottle will break the airtight seal meaning it cannot be sealed airtight again, which may cause your cream to become contaminated. Therefore, please remember NOT to open airless bottles under any circumstances! Once opened, any returns will not be considered.